I know this has been a hotbed topic for a lot of people. I created a small group of monitors for your Dell OpenManage Servers. I created a search for any device with the OpenManage software installed, and joined that to a group. I have attached them below. I have the following SNMP setup, and I have MP's pushover app installed on my server. It creates a ticket and pushes over to every senior tech about the issue. Please not that some OID's may need to be modified if you have more that one RAID controller, or Disk Array. Please share any OID's you find to help us all grow this monitor. This looks really good. I'm currently using internal monitors looking at EV logs to accomplish much of this today. I think I will set this up and test to see how they compare. Thanks for sharing this. I'll update you on the results to see which seems to perform consistently better. I have Pushover so I think I'll setup to notify you when there is a problem...LOL. "1.3.6.1.4.1.674.10893.1.20.140.1.1.4.x" where x is a VD number on the raid is one I use. The problem I see with the rollup RAID controller status is it likes to notify on firmware out of date issues. The VD solution gives exact results, but does have the danger of clients with a lot of VDs not automatically being covered. We have ones for 2 VDs setup. If no response is sent to the second one, it shows as Success, which works for alerting. Thanks for this, I installed it on our fresh instance of LT10 today. Hi guys, I know I posted earlier that I've installed this, but I hadn't really had the time to play around and actually test it. Since I configured the OpenManage monitoring all monitors have been at 100% so today I found some free time and wanted to do a little experiment with a server box that was laying around the office. So basically I had it onboard and be included in the OpenManage monitoring (the search goes prettly fast btw), then, after the machine had the monitors created and at 100%, I pulled one of the disks in the RAID to see if I'm going to get any alerts. The OpenManage client detected the RAID's in a degraded state as it should, but the Remote Agent Monitors keep saying everything is OK. However, if I open for example the "Array Disk OK" monitor on the machine and do "TEST", I get "Error" as the status, but the overall status of the monitor doesn't change from OK to Error (see screenshot, I know this explanation is a bit all over the place). I've kept the original configuration of the monitors and the search as described by etaylor. Am I missing something? 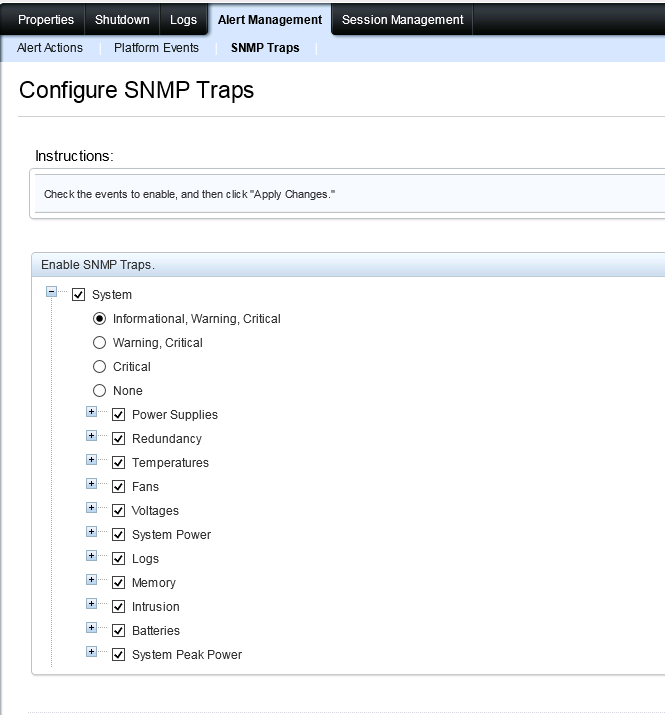 how has the reliability of the LT SNMP monitors been? This behaviour that kalin reports is exactly the same as that which I'm seeing with various other SNMP monitors. "I've been looking into these SNMP monitor issues for you. I have some more information on how these work. So I know you said you likely can't recreate that one monitor since the value it was looking for was already gone. The biggest thing to keep in mind with the remote monitors is that until they will show a success message until they actually connect with the criteria of that monitor's configuration. I think what is happening here in this situation is that the monitor here has never succeeded or had a possible successful criteria, and so it is showing that success message. So with your SAN - MSA 2040 monitor this one was installed on 10/10/2015 when we looked at it the other day, this might have been created after taht SNMP value was already gone, so this might keep showing as ok or successful because it never was actually able to find that value. I'm curious what the test button would show there, but I think that is why this is saying it's ok when it can't find that value. If the monitor found that oid and then wasn't able to after that, it should successfully see that fail. But without that original monitor it's hard to troubleshoot at at this point as well. If you have another one like that you would like to look at please let us know. Thanks Greg. I think in future I will be using the 'Test' button each time I create a monitor to rule this out. To my mind It would be useful if the monitor did not show a green 'OK' status if it has not managed to verify that everything is ok. Surely? I know that this thread is super old, but I am currently trying to setup monitoring for a HP MSA 2050 and found your comment about the MSA 2040. I was wondering if you might share the custom monitor OIDs you used for your MSA (assuming it is also a HP) and any other things you can recall that had to be setup in order for you to monitor disks on your system.